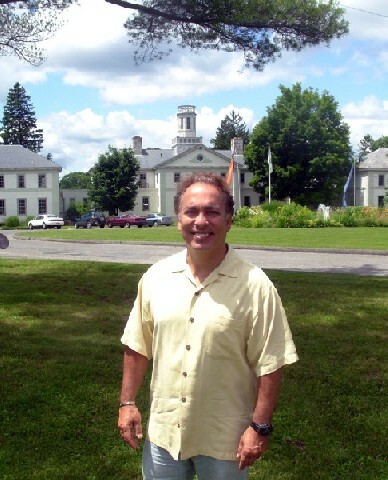 Tony Simotes during a recent lunch in Pittsfield. All images copyright Charles Giuliano 2015. Simotes on the campus of Shakespeare & Company. After firing Tony his replacement Rick Dildine quit in a matter of a months. 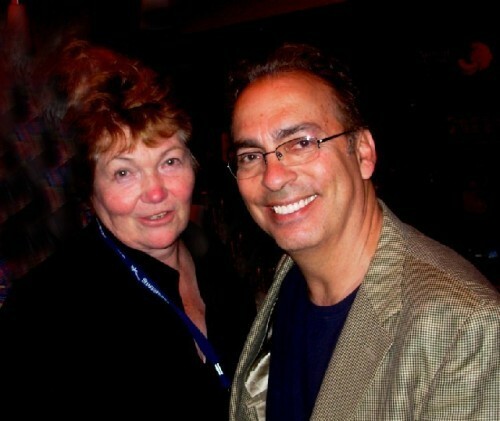 Tony and founding artistic director Tina Packer. What role if any did Packer play in the ouster of Simotes? Early on Simotes discussing S&Co. development. 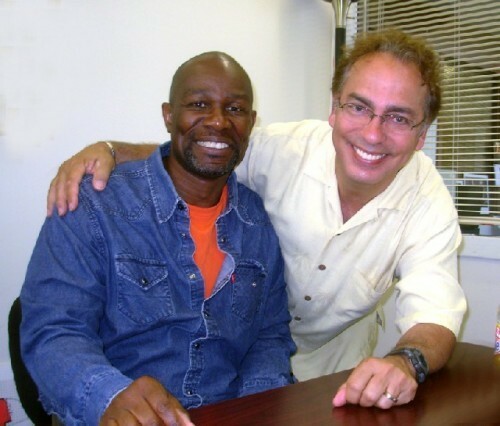 Tony and John Douglas Thompson while directing Othello. 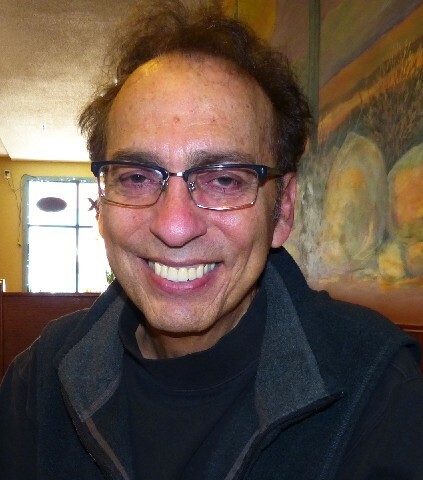 Tony co produced Satchmo at the Waldorf the first play by critic Terry Teachout. 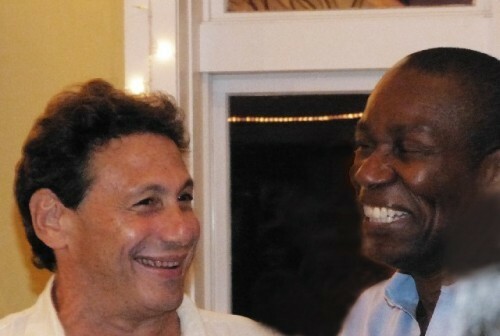 Satchmo director and co producer Gordon Edelstein and Thompson. Tony, Tina and Thompson announce a season. 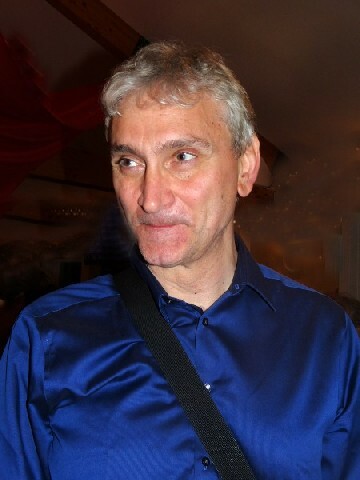 Simotes brought back major players like Rocco Sisto. 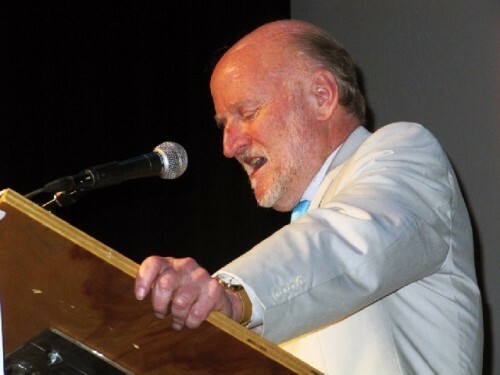 Former NEA chair Rocco Landesman suggested closing marginal regional theatres. With some irony this summer Shakespeare & Company which is still spinning from a chain reaction of self inflicted poor decisions, board intrigues, and public relations pratfalls will present "Comedy of Errors." Those who care about the renowned Berkshire company find nothing amusing about a meltdown that never should have happened. 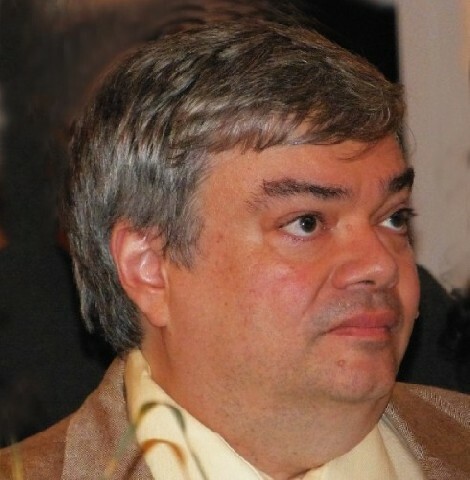 As Don Aucoin reported in the Boston Globe "The dominoes started toppling last fall, with the abrupt departure of respected artistic director Tony Simotes, shortly after the arrival of new executive director and president Rick Dildine. 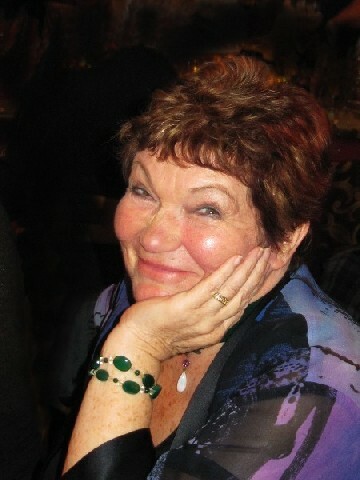 A founding member of the company, Simotes had succeeded Packer in 2009 when she yielded the title of artistic director to concentrate on acting, writing, and fund-raising for the company. He was instrumental in helping Shakespeare & Company achieve a financial turnaround several years ago. Yet the terse October announcement that Simotes would be leaving contained not a word from him." While Packer officially stepped down to pursue her own projects including developing a two hander and just launched book "Women of Will," from the sidelines, she has continued to influence the direction of the company. When Simotes took over he had to deal with restructuring millions of dollars of debt that threatened the very existence of the company. 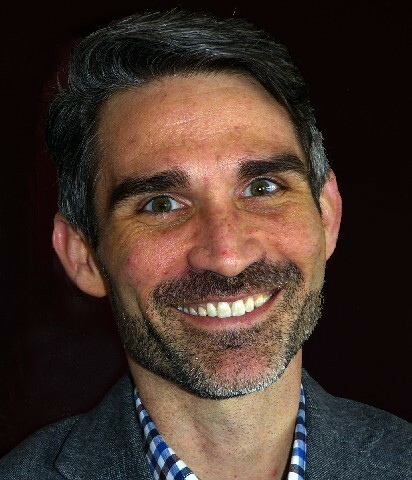 While he got the company back on track he responded to the aesthetic directives of then board chairwoman Sarah Hancock who has no professional experience in the arts. She is described in the media as having a close relationship with Packer. She was the primary backer of Tina's "Women of Will." While stepping down as chair in the aftermath of recent events she remains on the board. Aucoin reported that “I felt that the organization was not heading in the direction that I was trying to guide it,’’ Sarah Hancock, the former chairwoman, told the Globe by e-mail. She declined to elaborate." The new chairperson is Ken Werner, 58, a lawyer. It has not been reported what role Packer played in the ouster of Simotes followed by the turnstile tenure of Dildine. For the coming season there have been staff adjustments and board changes. From within the company the interim managing director is Stephen D. Ball, the company’s longtime general manager. He will work with interim co-artistic directors Ariel Bock and Jonathan Croy. It is anticipated that a post season evaluation of the current administration may or may not lead to a new search for top positions. To what extent will Packer's vision of the company, which differed from that of Simotes, define the future of S&Co.? Last season it appeared that following a board mandate the company refocused on Shakespeare. This included a Shakespeare theme for all but one of the contemporary plays. For the previous four seasons Simotes had been trying to find a balance between classical and theatre for the 21st century. Significantly, the hit of the season was the only non Bard themed play "Vanya and Sonia and Masha and Spike" which extended into September and sold out most performances. We met with Simotes for lunch and an extensive dialogue. This is Part One of that meeting. As has been the case with other reporters he declined to discuss details of his departure from the company. This was an opportunity to explore his vision of theatre, creating new works while rethinking the classics, and his new relationship with Kate Maguire of Berkshire Theatre Group. He offered an overview of his challenges and accomplishments at S&Co. Considering the adversity of overcoming his own health issues as well as those of the company he described the results as triumphant. 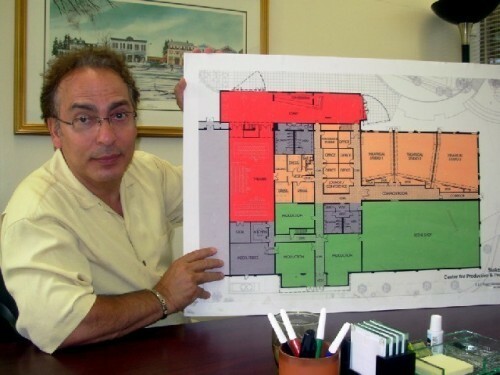 There is a lot of drama and incredible plot twists in a stranger than fiction story of how our true friend and invaluable artistic asset will remain to do more good work in the Berkshires. Charles Giuliano I understand that you don't want to discuss the details of your departure from Shakespeare & Company but can we get a thumbnail of your time as artistic director of the company and what that meant to you? Tony Simotes My time at Shakespeare & Company was absolutely rewarding. I am proud of what we were able to accomplish in a short time. As artistic director and president I came in during a time of great stress. The company was in deep financial trouble as was reported in the media. The company was in millions and millions of dollars of debt. In four years we were able to stabilize the financials and become a partner again with Century Bank. We were able to work with our stake holders, board, donors and the community. We reestablished the finances but also the artistic quality of the work. We continued to grow and maintain our national reputation. I am really proud of the work I was able to do with the board and the company. During those first two years I was also dealing with throat cancer. So I was dealing not only with my own health issues but those of the company. To get through all of that and also announce that the majority of the debt had been taken care of was a true triumph. For the company as well as for my administration. Nobody does it alone but through good fortune and good luck we were able to move forward. It was a solution reached by political means as well. We had help from local leaders. It took an awful lot to create a working relationship with our community, the bank and vendors. We wanted people to believe that the company was going to survive. CG Can we discuss the aesthetic highlights? You brought in your friend Olympia Dukakis and worked with John Douglas Thompson. In addition to classic plays the company also developed new works like Tina's "Women of Will" and Terry Teachout's "Satchmo at the Waldorf." TS Many people commented that having me back as a director and putting together programming brought new energy to the company. It reminded them of the early days of the company. There was an energy to the seasons and the productions. It was a salute to what the company had been in the past as well as forward thinking to what the company might be in the future. We were elevating the scenic elements on stage. We were bold in our choices. We took the Founders Theatre which is now the Packer Playhouse and reimagined how the space might work. In "Lear" we explored the vertical space and last year with "Midsummer Night's Dream" we had things flying in and out. We were pressing the visual aspects of what the company could produce. We were always known for the clarity of the word but over the past five years we expanded the idea of what the space might become. We also brought back artists that hadn't been with the company for a long time like Johnny Epstein and Rocco Sisto. In the past five years we really diversified the actors on our stage. You looked at a landscape of artists that was much more diverse than it had been in the past. S&Co. was what it used to be as the bedrock of the company when we first began. To me it was important to bring back these elements. There was the energy of our early work and then the chance to see how that translated three decades later. Under my administration we had a true emphasis on new work. We were looking at developing plays. It had been done in the past but more sporadically. The Shubert Foundation told us that what they saw was a great balance between new and classic work. It was important that we were pressing the art and the craft forward. I look back at the titles we introduced from "The Taster" "Mengelberg and Mahler" "Cassandra Speaks" "Satchmo at the Waldorf" the list goes on. There were any number of productions some successful others less so. The one we did off site "Kauffman's Barber Shop" was another wonderful piece of theatre. We did it in a barber shop here in Pittsfield. We won two Edgerton Foundation grants while I was there. CG How do these experiences and skills now transfer to a new position at Berkshire Theatre Group? CG You have been facing health issues. You were burdened with many decisions and responsibilities. This might be viewed as a welcome change. TS Oh yeah. We talked about being the product of growing up in the United States. We both come from ethnic families with ties to Europe. Theatre is always in a state of transforming itself and looking deeply into who we are as human beings. The 21st century is a fertile ground for new work. For me personally it means to be able to step back from a primarily classical focus to look at plays that I have been interested in but not had the space in which to produce. The new position is rife with possibilities. CG You have been rooted in Shakespeare and classical theatre. In 2010 Kate ventured into that territory with a Suzuki method production of "Macbeth" directed by Eric Hill. It was generally not well received. Barrington Stage also did Shakespeare for the first time a couple of years ago. Is it possible that you might be involved with a Shakespeare production for Berkshire Theatre Group? TS It's a possibility a couple of years down the road. I'm also interested in looking at plays that are classical in nature but not necessarily Shakespeare. Like "The Rover" by Apra Behn. It's a wonderful piece of theatre that because of the mix at S&Co. would not necessarily be a high priority. This gives me another opportunity to look at a play like that. Or Sheridan or Shaw or Moliere which could be Main Stage productions. It's not easy to companion those plays into a season of S&Co. It's not impossible because I've done it. If Kate came to me and said "Tony would you like to do a Shakespeare play" I would. I've done a lot of Shakespeare. I would rather have the opportunity to tackle the Greeks. 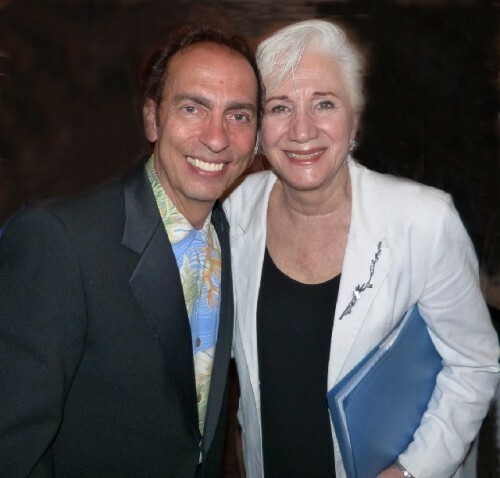 Olympia Dukakis and I have been talking about doing a re-imagining of a Greek classic. To me that would be exciting to look at in the next couple of years. CG It would be interesting to see Sophocles. Nobody does the Greek comedies. TS I've been known to have a comic touch occasionally in my plays. CG You seems to be a fan of farce and slapstick. TS I am . It's not easy. (emphasis) It's very hard to do that stuff. In the industry, you know how it is, very little credit is given to people doing very physical productions. It's always the serious work that gets attention. My "Othello" gave me a lot of credibility in the area for what it accomplished. CG You had John Douglas Thompson. TS That's right. He's a primary element of the play but to make it work with only eleven actors and get everything that we got out of it to me was a remarkable production. To me Michael Hammond was an amazing Iago with Kristen Wold as Emelia. Merritt Janson was Desdemona. Ryan Winkles stepped up as Rodrigo. There were so many people who added to making that play unique and beautiful. CG In the past few years through the conferences of the American Theatre Critics Association we have met in Chicago, Indianapolis, Shepherdstown, West Virginia, New York, Denver, Louisville, Kentucky, recently in New Orleans, next year Philadelphia and after that San Francisco. That has presented opportunities for an overview of national and indeed American theatre. Too often that means touring companies or Broadway musicals or regional theatres producing a short list of currently topical plays. Your interest in developing new plays is crucial to this discussion. As we encounter artistic directors it is always a relevant question regarding programming what the audience wants to see as well as developing new material. We are seeing more and more that regional theatres are developing the new works on Broadway. Diane Paulus has been very successful with her A.R.T. productions as has been Huntington Theatre Company or the Goodman and Steppenwolf in Chicago. This season Barrington Stage brought "On the Town" to Broadway and the Williamstown Theatre Festival productions of former artistic director Jenny Gersten have been successful. As an actor and board member John Douglas Thompson told me that he had urged you to develop shows that have the potential for travel after Lenox. That finally happened with "Satchmo at the Waldorf." It is asking a lot of successful actors to spend a summer working on shows that have no legs. Jenny brought Chita Rivera and Renee Fleming to Williamstown for the first time and now their WTF shows are on Broadway. That hasn't happened for Berkshire Theatre Group in a long time. In terms of ranking the companies that makes them last of the four in the Berkshires. Your arrival at Berkshire Theatre Group will undoubtedly change that and it would seem that now S&Co. is at the back of the pack. 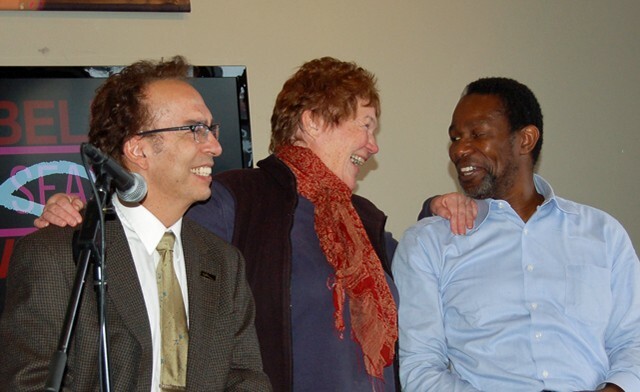 In the musical chairs of the current arts economy can the Berkshires sustain four equity companies? TS There are only 130,000 people in the entire county. For the past five years my head was entirely into S&Co. I felt that it was really important to find that balance between new work and classical work. We did a production of Moliere's "Tartuffe" which was in the Rose Theater. We had music and it became a new production. It can now be licensed as a new piece of theatre to go out. Even if you take a classic we reworked it. I was proud of how we took all kinds of work and dovetailed it with the classical work we were doing. Over the past 20 years the industry has realized that regional theatre is where to develop new work before it goes into New York. That model changed a long time ago. It's different from the old model of work that started in New York went through out of town tryouts and then came back. On the West Coast the Mark Taper Forum, the Old Globe in San Diego, La Jolla Playhouse, Pasadena Playhouse they were all sending shows to New York and developing them on the West Coast. For me that was the model. You could develop it anywhere if the show was good. If you had the backing you could make an impact on the national theater scene. That was the kind of energy I was trying to bring to S&Co as its artistic director and president. Going back to John Douglas Thompson and his frustrations we produced "Othello" and it was an amazing success but there was no way to take that show to New York. We didn't have the financial structure at that time particularly coming out of the financial situation we were in. To raise that money independently. CG What are the numbers? TS For instance to take John's one man show on the road we raised $1 million to do that off Broadway. We did that with myself and Gordon Edelstein of Long Wharf. We produced that independently. We raised the money, rented a theater in New York, and did it. We were the producers. That was a huge risk. Thank god we had theatre angels. TS It did. It was fun. It's not, you know, "The Fantastics" running for a zillion years but the show continues to be produced. It's being produced in LA. Over the next decade the show will be produced an awful lot. With different actors. If you do it in Chicago or a major city you might find John there. The major markets. It's being done in Florida this year. It's making money on the back end through royalties etc. CG I talked to Julianne Boyd about "On the Town." Apparently you don't do it for the money. TS That's correct. It's not like putting money in the bank that grows. It happens because of what it means to your brand as a theatre. What we're all trying to do is create an American theatre that's really exciting. To me that's where all of this came out of. When you're doing the classics there's a certain limitation unless you completely rework the story. What I'm always trying to talk about is what are the stories of the 21st century. Where is this nation heading? What is humanity's history progressing toward? Terry Teachout brought us a play about a musician. It was instantly interested because I'm a musician. A drummer. I played rock and roll. I was in a jazz band, a marching band. I was a band kid. That's why Charles music is always a part of my plays. It's a different kind of language. TS Terry brought us the play. He knew Elizabeth Aspenlieder. She said "Terry has this play and you should look at it." John did a reading and as AD I said "Stop the presses I want to do that play." I committed even in its raw form. I said we can do something with this play. With John capturing the essence of that character in a different way plus Terry's take that it not just a retrospective of Louis Armstrong. It gives the actor the chance to play all the different characters; women, men, black, white. It's a true tour de force for the actor playing Louis Armstrong. I just knew we could do something with it. We had such great success. I put together the team and asked Terry who do we want to get to direct? So we hired Gordon Edelstein and the designers. Terry felt that in the past Gordon had success with directing one man shows. In the beginning, I have to say, Gordon had no desire to do this play in this theatre. He was not convinced the play would work. He said that "we don't partner with theatres like S&Co." I took that as a challenge and S&Co. was making a different push. When the play started to come together Gordon had his own challenges with his own theatre and his own board. I give Gordon a lot of credit. He stood on the sidelines for awhile. He worked with Terry and all of us at S&Co. to develop this play. When he saw the power of it he said "OK Tony you're right. This play will work." At first we were willing to give this play up to the Public Theatre or whatever. They balked and wanted it for another year later. Gordon and I talked and said why don't we do it. He had a show running in New York at the time that was doing well. He had something already in New York. We talked about whether it was doable. We had to raise a lot of money aside from our normal fundraising. People saw the show, liked it, and a theater became available. We got a great production team and the next thing you know we're in New York opening at the West Side Theatre. It was a great experience for S&Co. The year before we had supported Tina (Packer) to take "Women of Will" on tour. Again that was something developed at S&Co. I gave it the real estate for two seasons to develop it as a one night overview. Then the next year I gave her the opportunity to bring it back with five different chapters. Then it went on tour. That was another project I gave space to within our season to help develop that as a new piece of theatre.